Each gallery has a "Premium Settings" section. Using these settings you can control how your gallery looks like and acts. 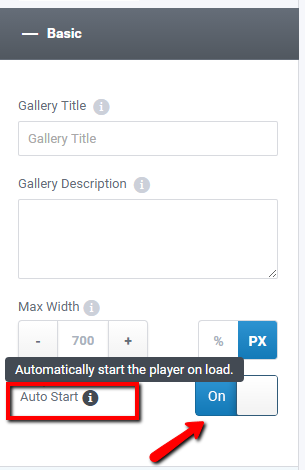 To get to the settings you need to go to "My Galleries" page. 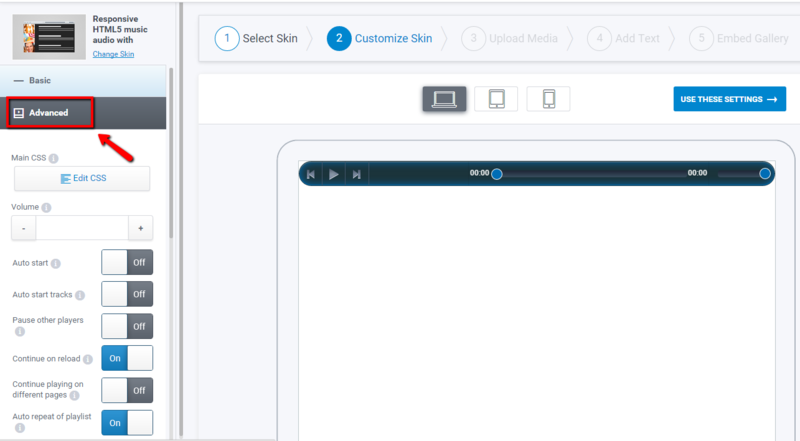 You will see all the customizible settings of the specific skin. looks after the adjustment of the settings or continue to files upload. 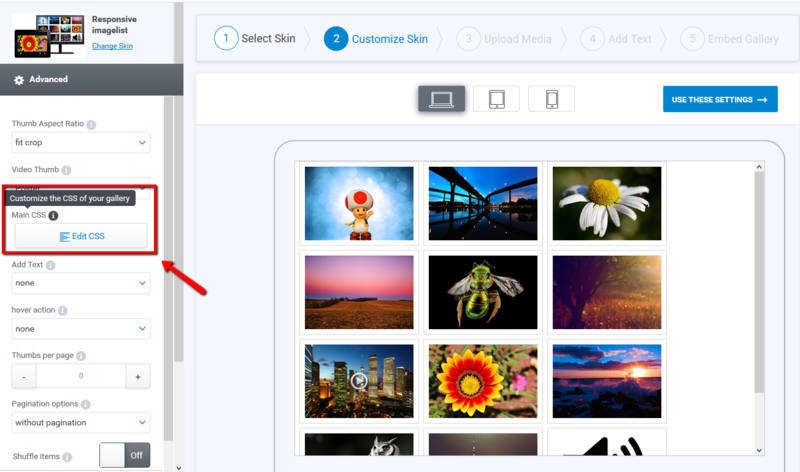 you can edit yourself the CSS and create different gallery designs. 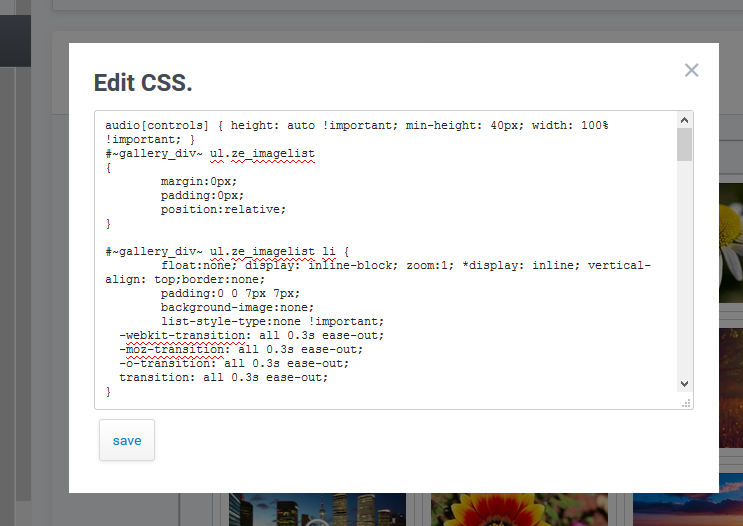 Click "Edit" button to open the CSS editor. Edit the CSS and click "Save" to save your design. 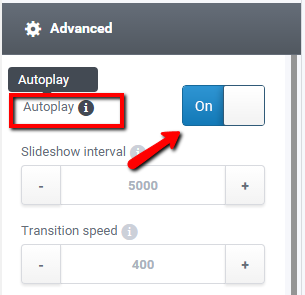 you can set the autoplay / auto start to "On" which triggers the gallery to start playing as soon as it is loaded (depending on skin gallery selected it can be found on different tabs). For video skins “Volume Level” setting will be displayed. Please fill in here a value from 0 to 100 depending on your needs. For audio skins “Volume” setting will be displayed. Please fill in here a value from 0 to 100 depending on your needs. Preview gallery. 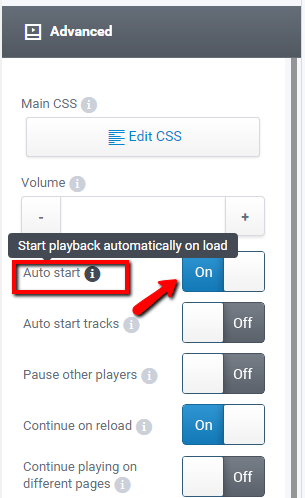 Volume bar will be displayed according to the value provided to Volume setting from “Advanced” > step 2. At “Item open action” setting select from dropdown “related url” and choose from the next setting “Related url in new tab” either to open or not in a new tab. Or select from “Related Url” either to open in the “Same Tab” or “New Tab”. External link can be added on step 3 at "Uploading files" and as well as on step 4 "Text & Reorder". For more information please also check How to add links to your galleries support article. 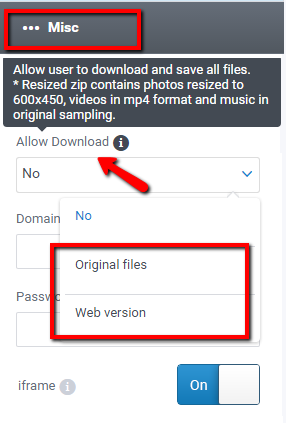 At “Allow download” setting you can disable download of the original files or file download in general. 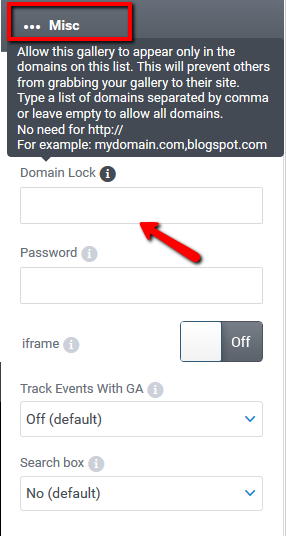 At “Domain Lock” setting you are able to lock your gallery to your domain or more domains making sure no one can copy it from your site. For more information please also check How to track your galleries with Google Analytics support article. you can enable the Google Analytics feature and get more statistics about your gallery. you can drag and reorder your files to be displayed in the order you desire. NOTE: Please pay attention for the changes to be "Saved"
You can click on "Grid view" to make the reorder easier for you. Olga thank you for the step y step guide with images dear, you don't know how much of my time did you save with this blog of yours. I wanted to edit my essay champ image gallery for some time but didn't knew how to and wasn't in the mood to bother the designer, so many thanks to you. Do you know how to choose your further way in life? check this article! It is dedicated to career choice.